When Spectrum Collections sent me some of their brushes I was smiling from ear to ear. I've been checking out their products on Instagram for a while now, and I'm so happy I finally have some!! 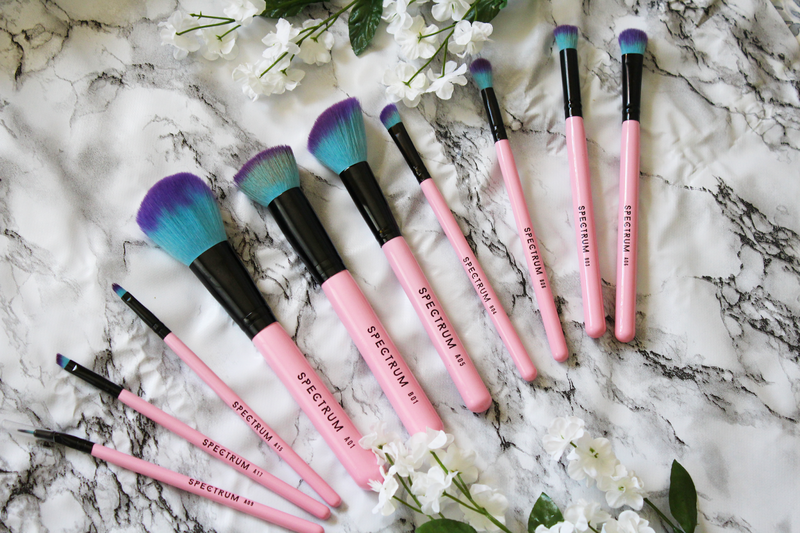 All of their brushes are Vegan Registered & Cruelty-Free which is amazing. I've been trying to be more cruelty-free conscious when purchasing makeup products recently. If there are brands that are vegan & cruelty-free then I'll always choose them over other brands. Their brushes can be bought individually or in a set, and today I'll be reviewing the 10 Piece Essential Set. The individual brush numbers can be seen in the images. I've used these brushes for 2 weeks to be able to give a good review. * The first thing I noticed when I opened up the package and held the brushes was how soft they were. 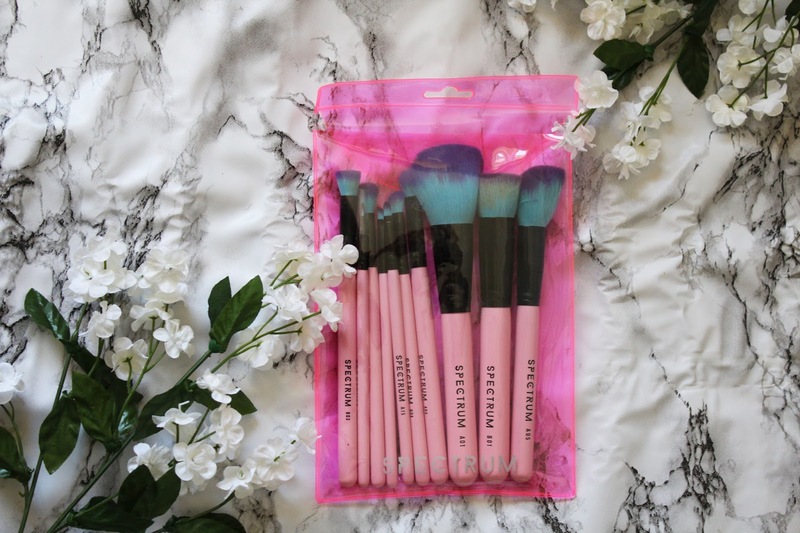 * The 10 Piece Brush Set has a brush for everything. You can create a full-face look using them. * The brushes are super soft and not itchy - like many affordable brushes I've tried. * They're easy to clean in between uses. The only thing I would say is a (slight) negative, is that the B01 brush has been stained by my foundation. It could be the type of foundation I used, or that I'm just not cleaning it correctly. As you might be able to see in the image, it's got a slight tinge of foundation colour. But that doesn't affect the use of it at all, and it is still my favourite brush! For the past year or so I have had to use a beauty blender to make my makeup set into my skin. Previously when I've used foundation brushes, they make my foundation sit on top of my skin and make it hard to blend. BUT this brush made my makeup routine a lot easier. With this brush, I can apply the foundation straight to my face and blend it in no problem!